Last Day, Korean Tech giant announced the new release i.e. Galaxy Note 4 with several tweaks and upgrades. Good thing is that Note 4 comes with same screen size as Note 3 does, as any size grater than this is difficult to view and handle it. Samsung Galaxy Note 4 has two options for different regions i.e. either 2.7 GHz Quad-Core Processor or 1.9 GHz Octa-Core Procssor. 3 GB RAM provide better user experience as user will have more RAM capacity to run more and heavy apps. 32 GB internal Storage along with microSD Card upgrade will cover your memory needs. It runs on Android 4.4 KitKat with same TouchWiz interface as Galaxy S5 does. Samsung powers Galaxy Note 4 with same screen size as its predecessor, some people are expecting that Note 4 will have 5.9 inches of screen, but Korean company make it easy for people to handle device with ease. What is unique in Samsung Galaxy Note 4 is that for the first time Samsung powers it with Super AMOLED screen along with QuadHD resolution of 5260*1440 which is 4 times more than normal HD resolution. 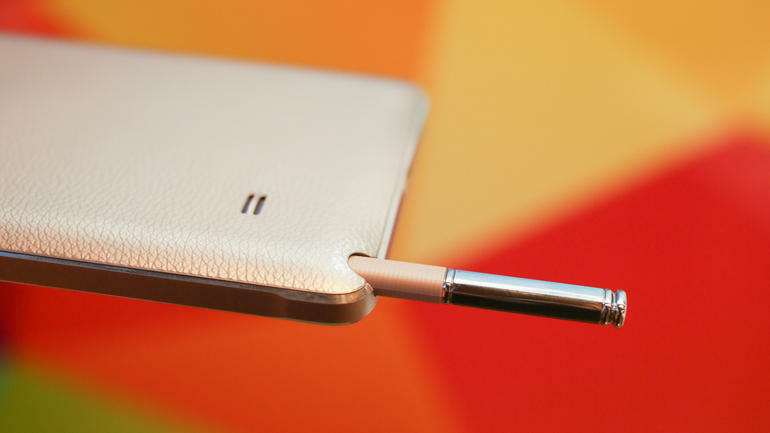 Galaxy Note 4 comes with more Mega Pixels and tweaks in S Pen. It has 16 MP of camera with Smart Optical Image Stabilization and a 3.7 MP Camera at front end to provide video cal facility with clear image. S Pen is better than Note 3, Samsung claim that now you can feel experience of writing just like on paper. Galaxy Note 4 has a powerful battery of 3200 mAh, while the power saving mode allows user to use phone for next 24 hours when left with 10% battery.